I just had my dinner. At 12.30 midnight. 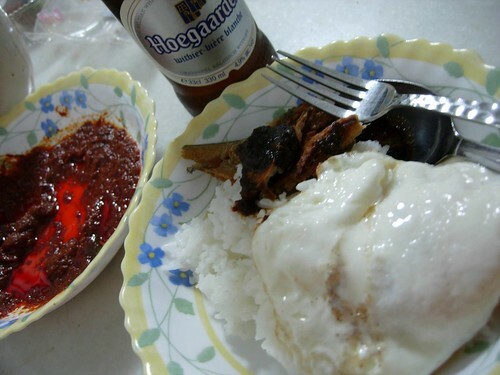 It comprise of some salted Sarawak terubok fish, a half-cooked fried egg and some leftover gravy of chicken rendang. Sad? You bet. But I am very overwhelmed. I have a few people to thank. First, Samm for her crazy Excel gaji spreadsheet. Otherwise, I cannot measure my milestone as I do not keep tracking of things. Plus those cheemuis who keep me awake at nights. Amy, tks too. Next, my ex-sifu who encouraged me in my early days. I don’t know why my ex-sifu had a fall-out with me. But anyway, Happy Belated birthday, doc. I do remember September 25th. But since you hate people who make money from blogs so much, I won’t dare to show my face anymore. After that, my siheng who told me even if I don’t need the money, I can always give it away. I am doing that, siheng. And my dear ahbeng. Your encouragements gave me the courage. LOL, encouragement sure give courage lah, doh! Cilaka. Plus my family who knows I need this little self-confidence. It is not the money because no one gets to spend it as all my money is in the bank. My dear hubby who lets me buy anything I fancy because he knows I deserve it, even if it is him paying for it. I had earlier said I am going to finish my Ribena so that I can cry a river of tears after I achieved what I was out to achieve. As I glugged down my bottle of Hoegaarden, while standing by the kitchen sink, I realised that I do not know why I like to push myself to this extend. I still don’t know. I hope to find the reason why. Or the root of it. Anyway, thank you, Lord Jesus. I know You play a big part in this. Let me not be blinded by money but be guided by Your light always. RM17K is a lot of money and Lord, I will know what to do with Your blessings. I will stay rooted to Your Word. But let me get my iMac, first, ok Lord? Just one little thing for myself, pwweeasse? That Apple is too hard to resist, just like how Eve took a bite. Excuse me while I cry my river of tears. Why push so hard? I asked myself that question too, and my answers is the chase gives us the thrill and lansi-ness. LOL! So what happens to your old laptop? Another giveaway contest maybe? Congrats on your success. I missed my target. Can’t blame anyone but myself for the laziness. Hope you manage to make even more this month. iMac also? wuah..u dun ask for much do u? hehehe..if i get an iMac i have to go back to skool learn from beginning again! I want to push myself too..;D I haven’t counted mine yet..should be close to $2,000. Hehe…I couldn’t help..must write a post about this great news ! don’t cry don’t cry, you are my inspiration leh. oi buy Pink MAC next! damn cun! congrats!!! sometimes it is not y go so far “question”, sometimes its this thing call the “razor edge” it is just how much edge you can go to get the best result. 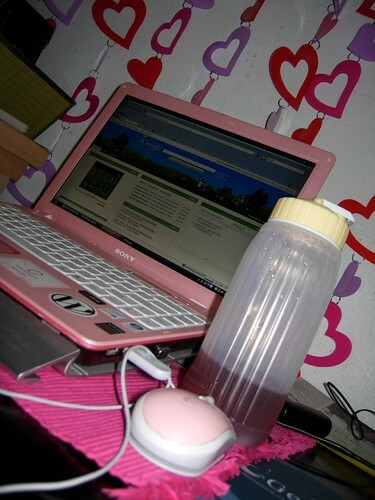 for a new blogger like me and soon to be a mom..you are an inspiration. “Bryan ah!!!! I just killed my blog!!!!! Kiu miah ahhhhh!! !” still afraid of upgrading their Wordpress to WP 2.3 are either cheeken or blind cheeken. So, what are you? A beruk? Monyet? Lion? Tarzan? Jane?